Halloween-Themed Reads | grow. learn. connect. Halloween is coming up and it’s time to get into the spirit! If you’re looking for something spooky to read to get you in the Halloween mood, look no further. 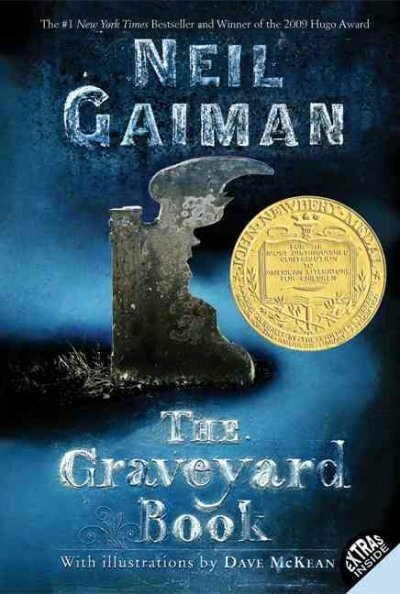 The Graveyard Book by Neil Gaiman (YA fiction) – Follows a young boy named Nobody Owens as he is raised in a graveyard by a group of ghosts and avoids leaving the graveyard for fear that he will be killed by the man who has already murdered his family. Gods of Nowhere: A Novel of Halloween by James Tipper (adult fiction) – The ancient Celts believed that the veil between the worlds of the living and the dead was at its thinnest on Halloween. It was then that the dead could get through. But could it work the other way? Could we go to them? Scary, Scary Halloween by Eve Bunting (juvenile fiction) – A band of trick-or-treaters and a mother cat and her kittens spend a very scary Halloween. Dracula: The Graphic Novel by Jason Cobley (YA fiction) – In a graphic novel retelling of the Bram Stoker classic, young Jonathan Harker first meets and then must destroy Count Dracula in order to save those closest to him. The Awakening by Heather Graham (adult fiction) – Megan O’Casey and her husband Finn still make good music together. Which is why they head to Salem, Massachusetts, Megan’s hometown; booked to perform a weeklong series of concerts culminating on Halloween? But as soon as they arrive, Finn seems different; sensual beyond belief one moment; cold and ruthless the next. As the full moon approaches, Megan senses that she, too, is in mortal danger. It’s Halloween, I’m Turning Green! By Dan Gutman (juvenile fiction) – Eating far too much candy while trick-or-treating with the gang on Halloween night, A.J. experiences a wacky nightmare starring all of his teachers from school. ← There is no story that is not true … The world has no end, and what is good among one people is an abomination with others.